ZOË has worked in national and regional newspapers and magazines for more than 20 years and has experienced every angle of the fast-paced media world. A fully NCTJ qualified senior journalist, she has worked in news, features, lifestyle and sports departments, worked busy news desks and gained essential multi-media skills. As an editor, she has previously held the role at Bikesport News magazine, and has edited numerous printed publications such as lifestyle magazines, eBooks, circuit programmes and brochures. Entering journalism in the mid-1990s as a budding F1 reporter, she soon found herself immersed in the world of newspapers, and stayed in the industry for the next 16 years before making the break to go solo. An award-winning Motorsport Writer, Zoë specialises in British and World Superbikes, MotoGP, Road Racing, BTCC, and sportscar racing. In March 2018, she was appointed Motorcycle Racing writer at the Daily Star and Express newspapers, and provides extensive coverage of BSB, MotoGP, BSB and international road races to both papers’ daily and Sunday publications. 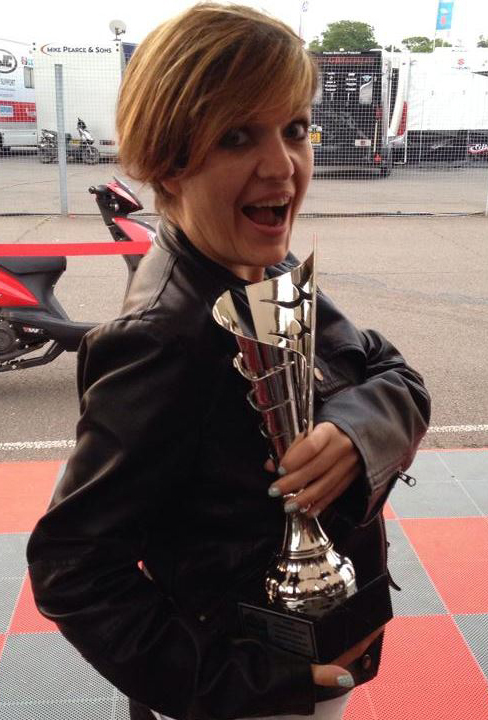 She also provides regular reports and her acclaimed Burning Rubber column to the Sunday Sun, The Journal and Evening Chronicle, is leading British Superbike reporter for motorcycle racing website Bikesport News, and has written for many leading motorsport publications such as MCN, Autosport, Motorsport News and Motorcycle Racer. Zoe is also founder and editor of UK Clubsport magazine and website, which features news from Britain’s many motorcycle racing clubs, creating a hub for all things club racing in the UK. Her vast experience of working in newspapers and magazines means she knows what makes the cut, and thanks to this knowledge, precision and belief that news must always be ‘new’, her press and PR skills are second to none. Her clients have included a number of high profile motorsport teams, drivers and riders including Halsall Racing, MotoDex BMW and Splitlath Redmond British Superbike teams, Bamboo Engineering World Touring Car Championship team, and Superbike riders Chrissy Rouse, Eugene Laverty, Chris Burns and Barry Burrell among others.